Boudoir | One quality, the finest. 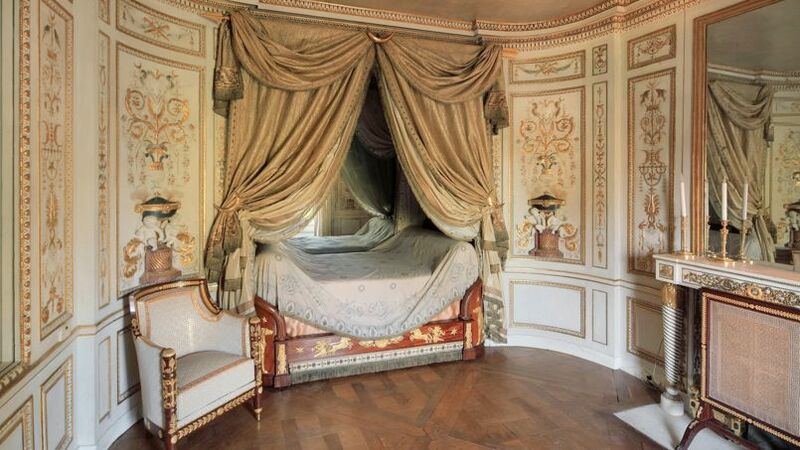 Another great place to check out this summer in France is Marie Antoinette’s Turkish-style boudoir in the château de Fontainebleau. The château is an easy day trip from Paris (follow this link for detailed information), and it’s well worth the effort. After years of renovations, the boudoir of the most famous French queen has just re-opened. At the end of the 18th century, the twenty-two year old queen created a private place, sheltered from the prying eyes of the Court, so that she could have a few private moments. Now you can see what she created. Eastern exoticism was all the rage, and the room is swathed in turbans, incense burners, strings of pearls, and crescent moons. The gilding and wood paneling have been refreshed just as it was when it was new. 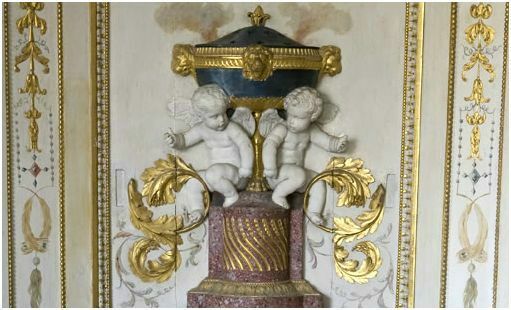 One of the marvels is a mirror that moved at the touch of a button to cover or uncover the window that overlooked the Garden of Diana. Twenty years after the fall of the monarchy, the Empress Joséphine moved in. She kept the décor as it was, but added new furniture as the originals had disappeared during the Revolution. The word boudoir (bood-wahr) has been used to describe an intimate salon used by women since before the time of Marie Antoinette. The word comes from the verb bouder, which means “to sulk” or “to ignore.” A woman who had to live her whole life under the most relentless public scrutiny certainly needed a room of her own. 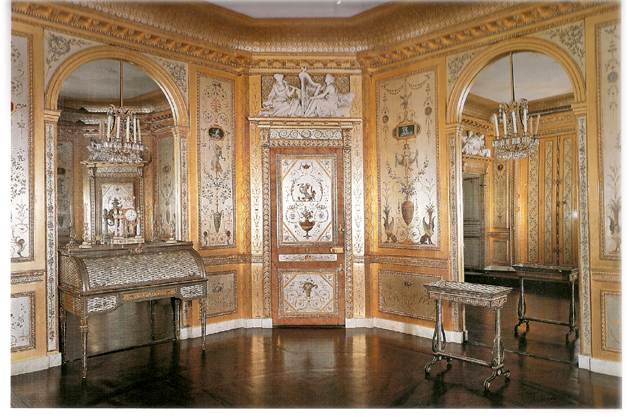 This entry was posted in Travel and tagged boudoir, Fontainebleau, Josephine Beauharnais, Marie Antoinette. Bookmark the permalink.